In the spring of 2014, through the generous support of the Prina Family Scholarship Fund, and with the help of the Arizona Community Foundation, the Pima Unified School District #6 established an endowment. The Pima High School Scholarship Fund will provide scholarships to Roughriders who want to pursue education or training after high school. This is a great opportunity for all of us to work together to have a lasting impact on the lives of children of our community. 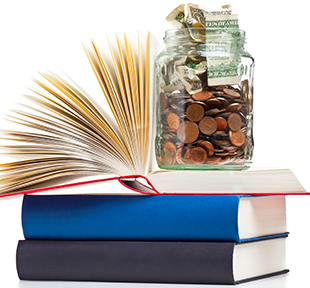 The scholarship fund is based on the endowment fund model. The district will carefully invest money donated to the fund through the Arizona Community Foundation. This fund management group has a proven track record of generating additional wealth through the investment of the money entrusted to it. On average, they generate an annual return of ten percent. The money for scholarships will come from this growth, so the endowment itself will never go away. The money the community invests in this fund will continue to provide support for the students of Pima far into the future. Before we can distribute monies from the account, we must deposit a sufficient balance. We have set a goal of $50,000. This would provide $2,500 in scholarships each year. As the amount in the fund grows, so will the amount provided for scholarships. We base the $50,000 goal on the fact that we must match the seed money for the account, $25,000, before the account becomes active. So, we are already half way to our initial goal of raising $50,000. We have also received a pledge of $5,000 per year from the Turkey Trot committee. This means that with no other support from the community, the account will be actively providing scholarships for students in the class of 2020. We hope to begin supporting students on their way to success much sooner. To do this, we need your monetary support. Through the online donation form below, you can contribute to the endowment fund. We will never spend the money placed in this fund. Instead, we will invest the money placed in the endowment, and we will use the interest generated through that investment to help our students go farther and accomplish more than they could have achieved on their own. Thank you for your support of Pima Schools and our students.